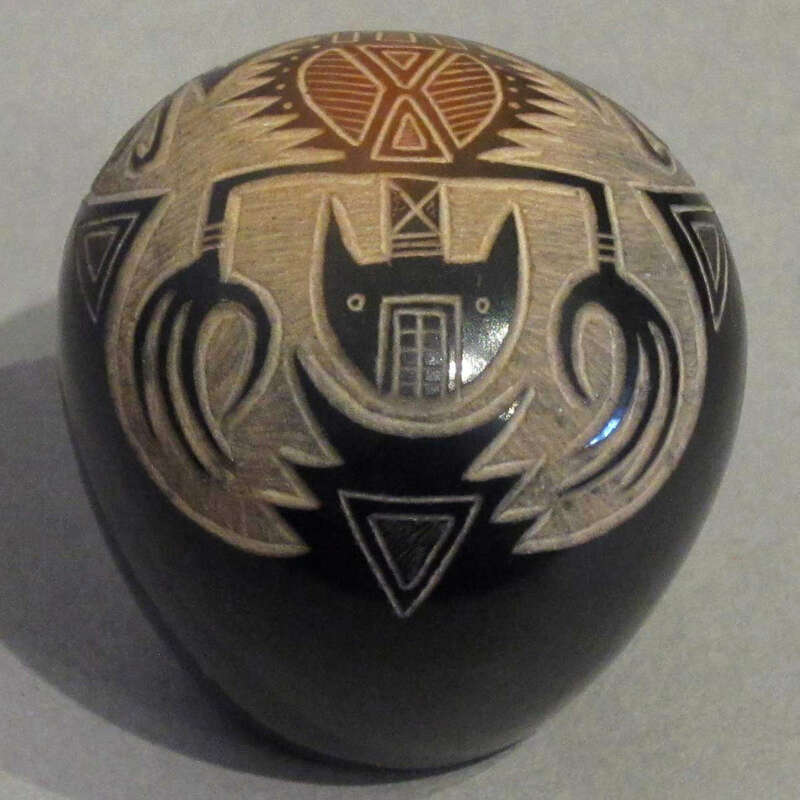 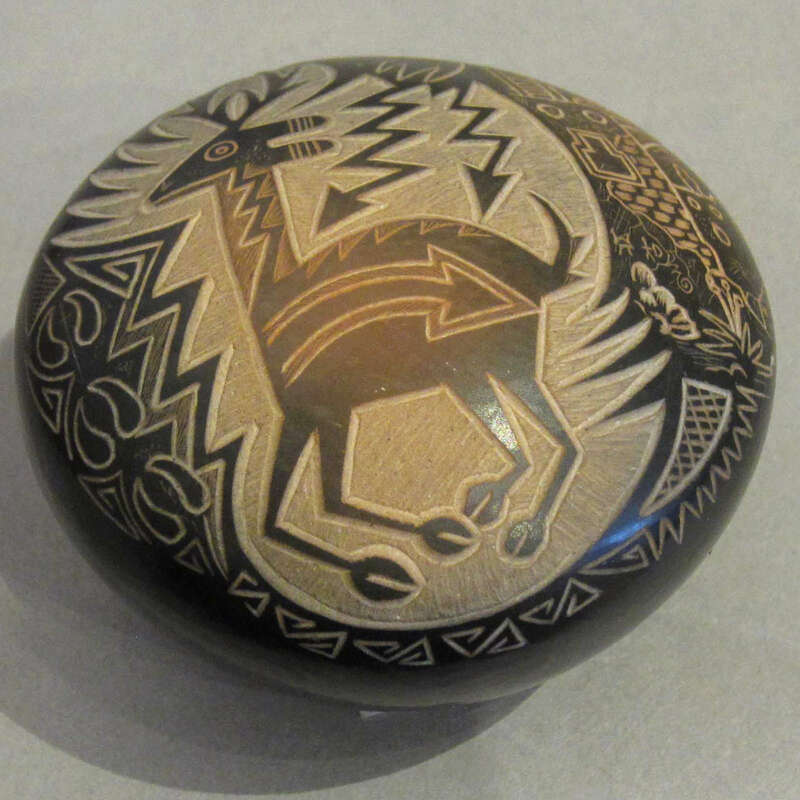 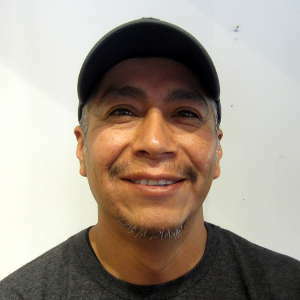 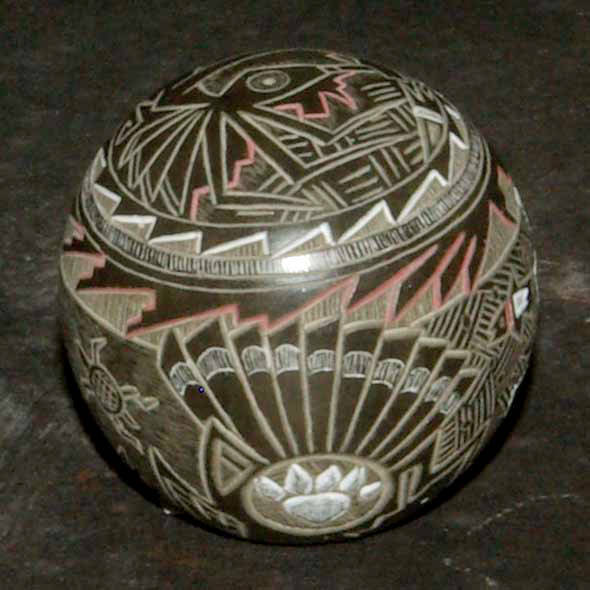 Dean Haungooah is a potter from Santa Clara Pueblo, son of potters Martha Suazo and Art Cody Haungooah (1943-1983). 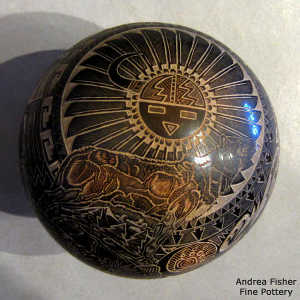 He follows in his father's footsteps and makes his father's style of tightly incised pottery. 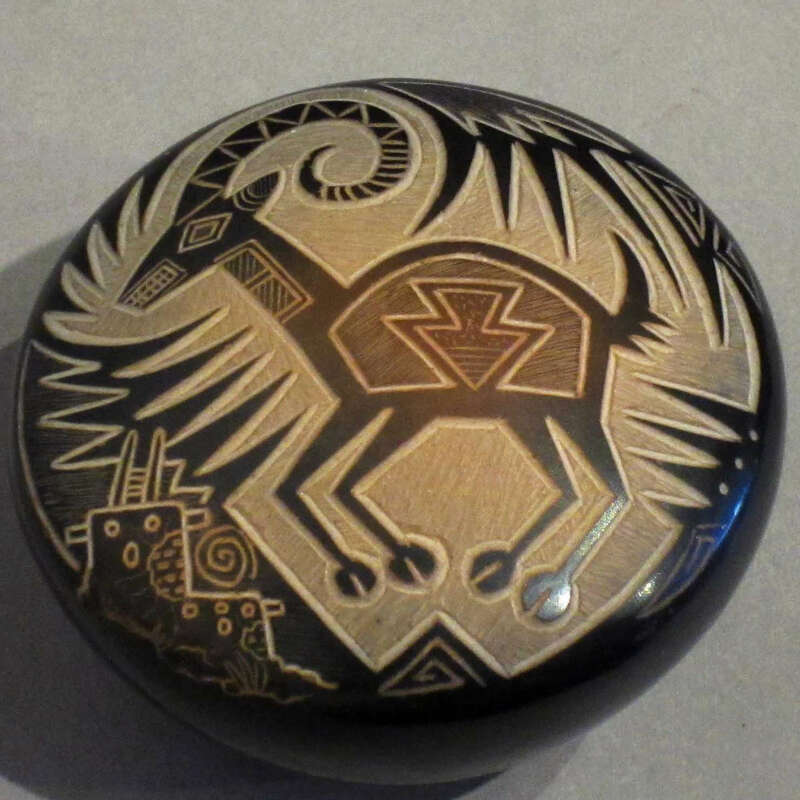 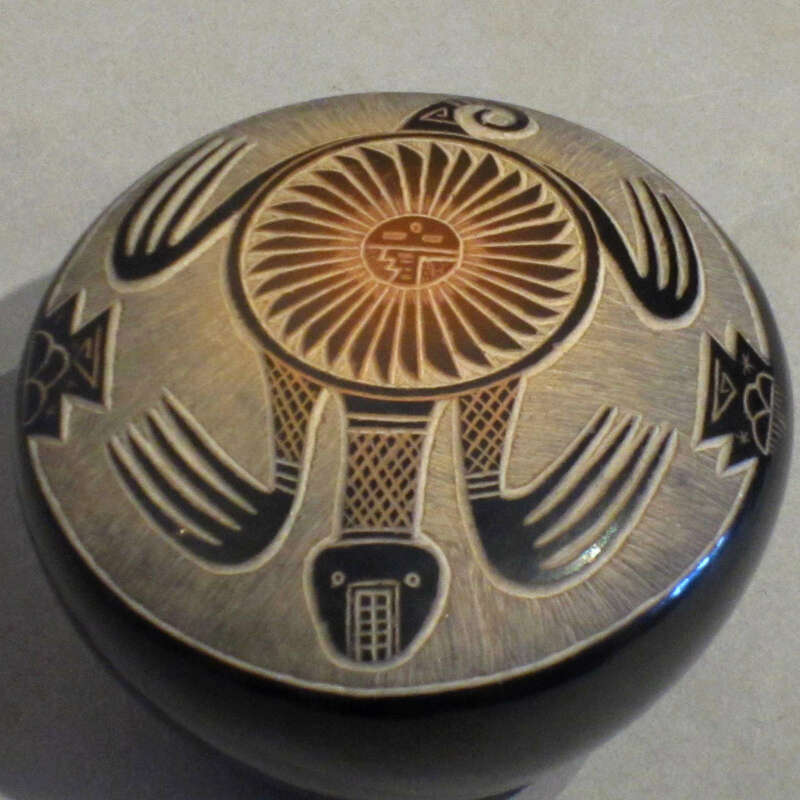 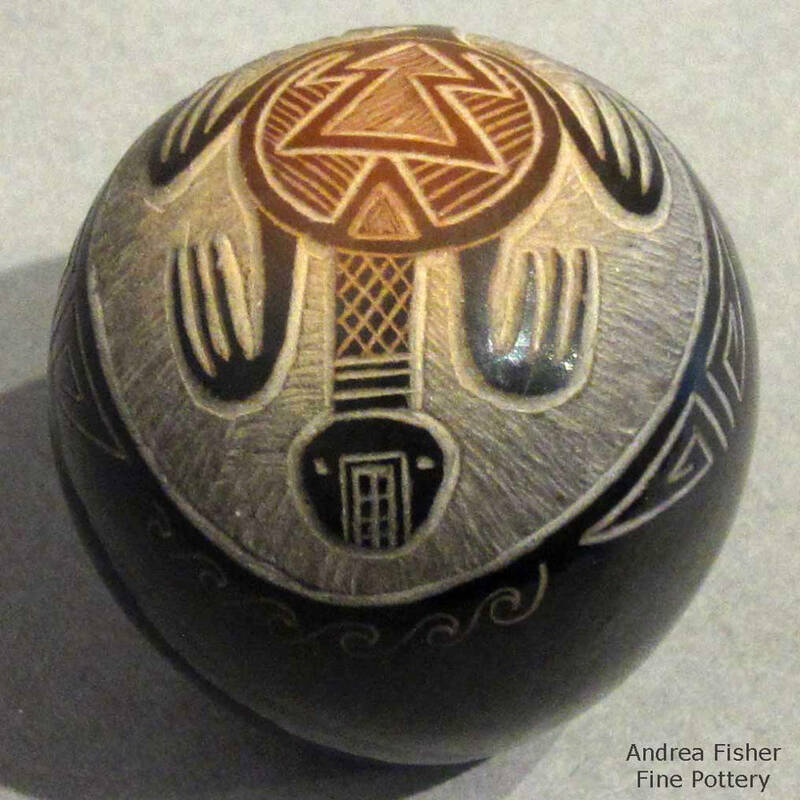 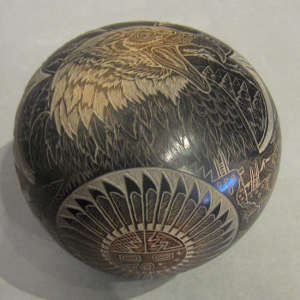 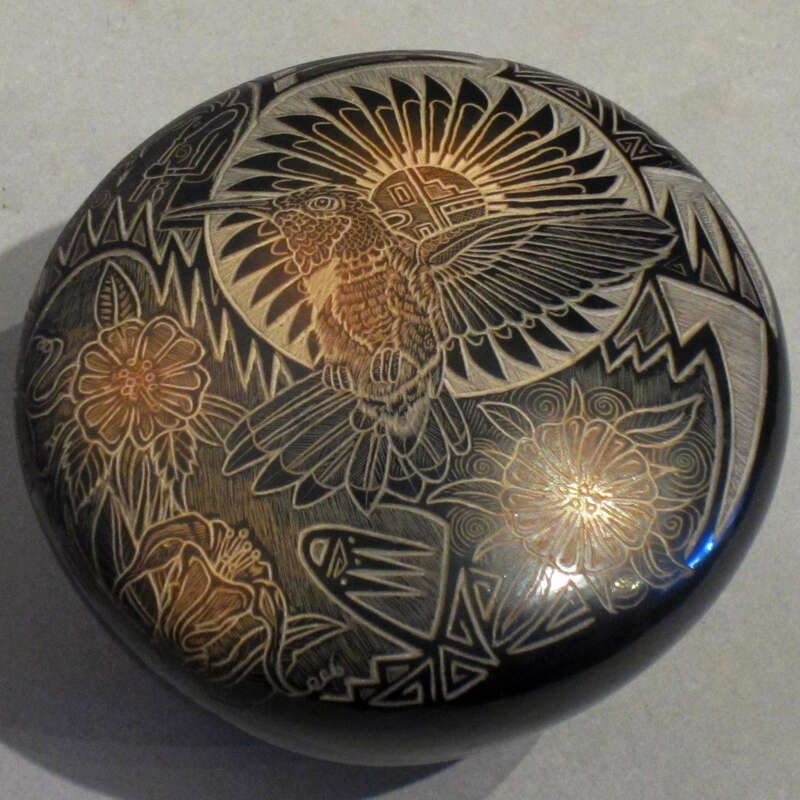 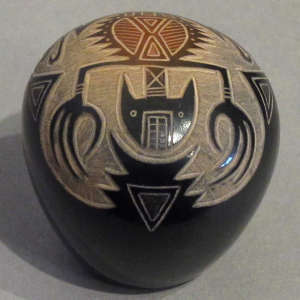 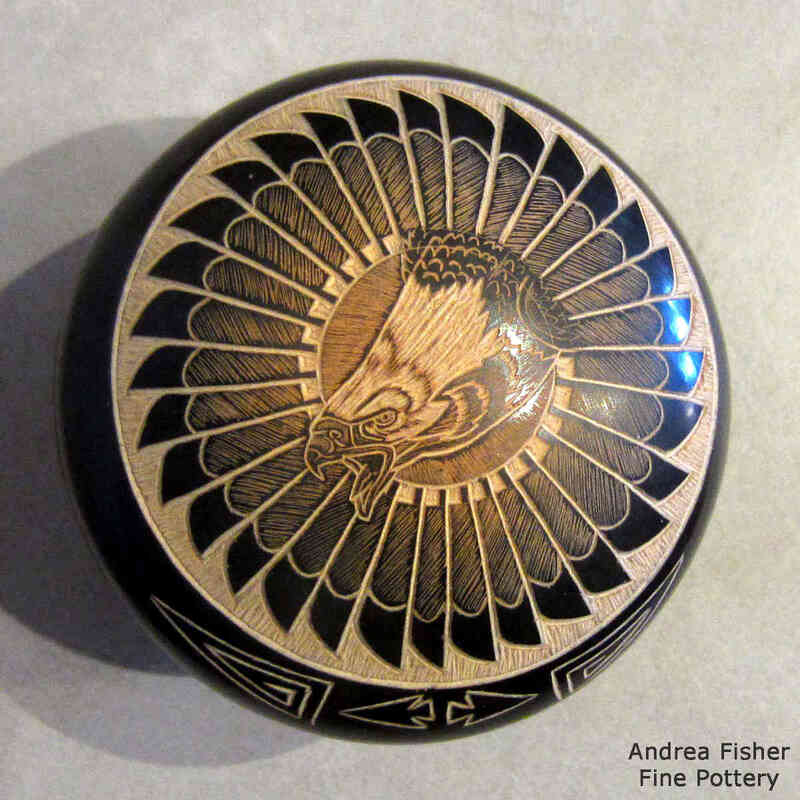 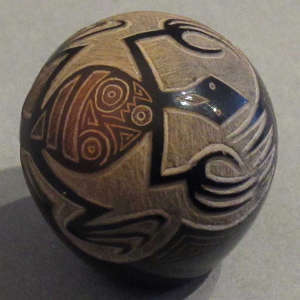 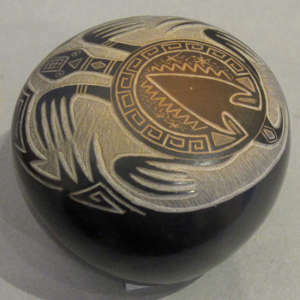 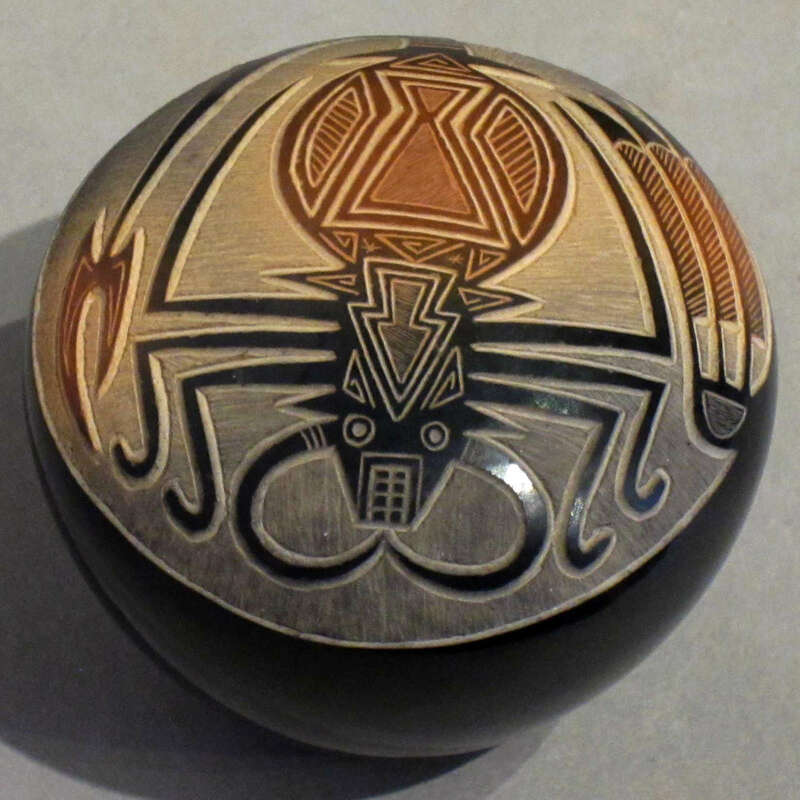 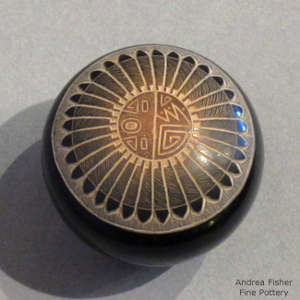 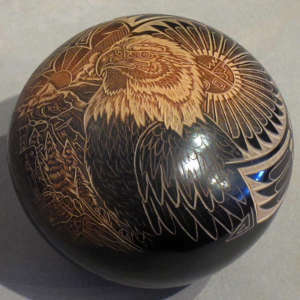 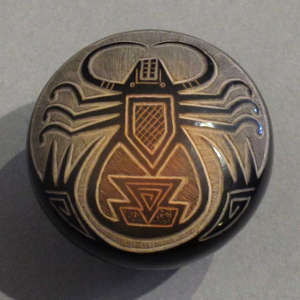 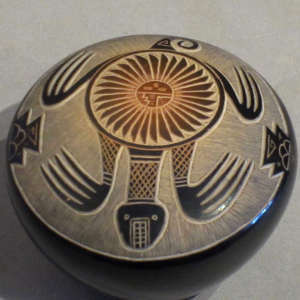 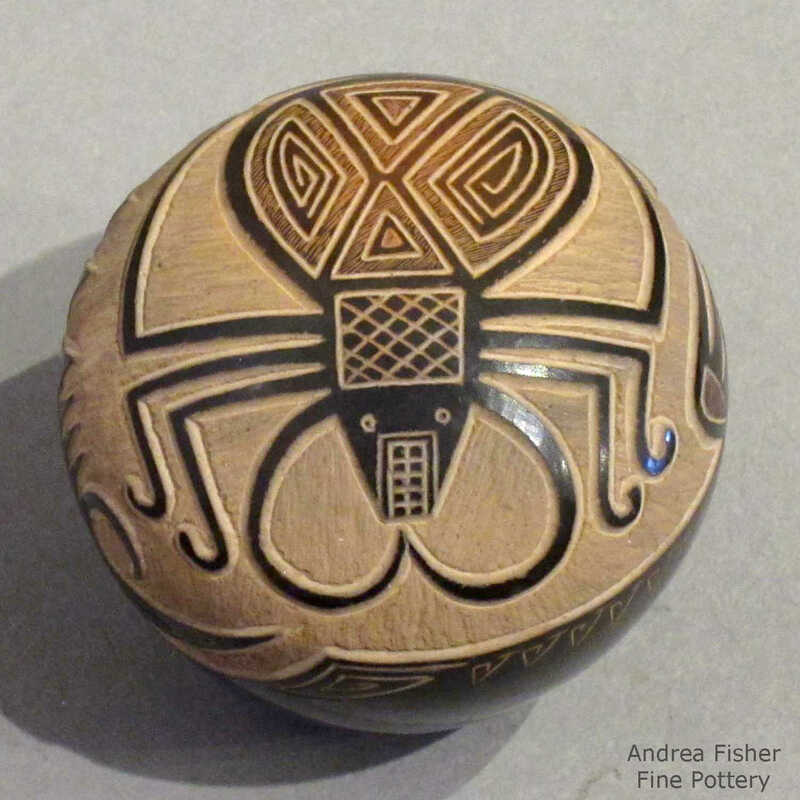 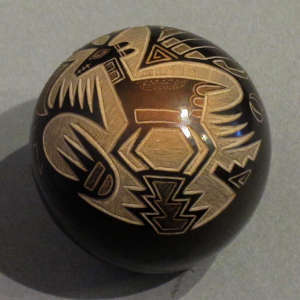 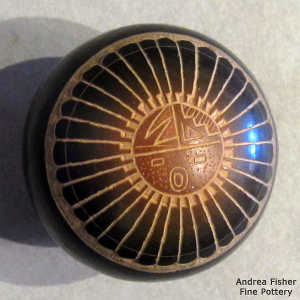 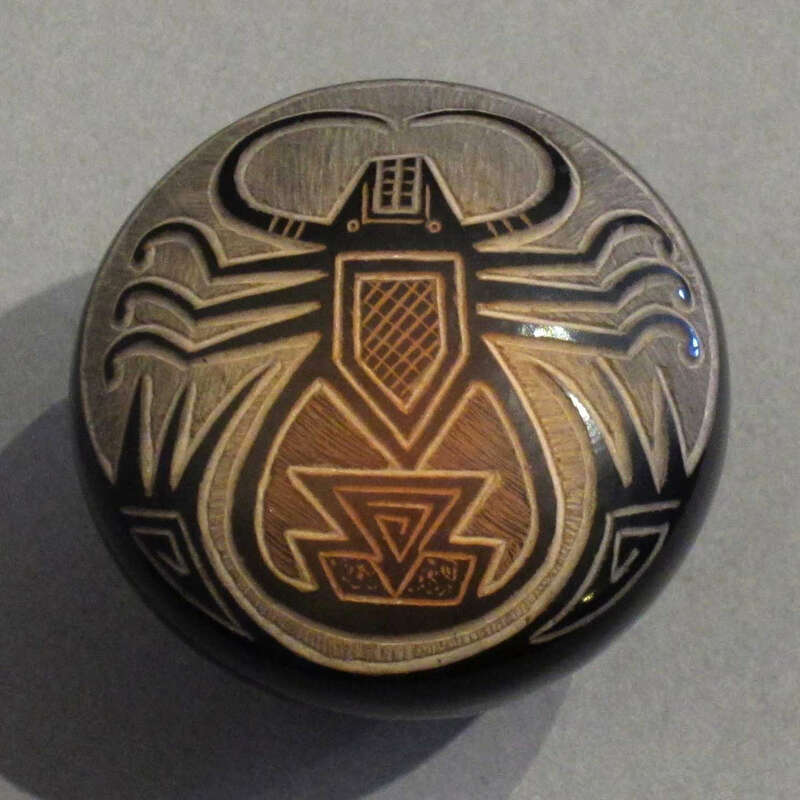 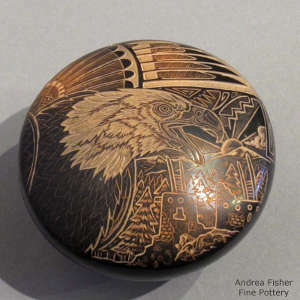 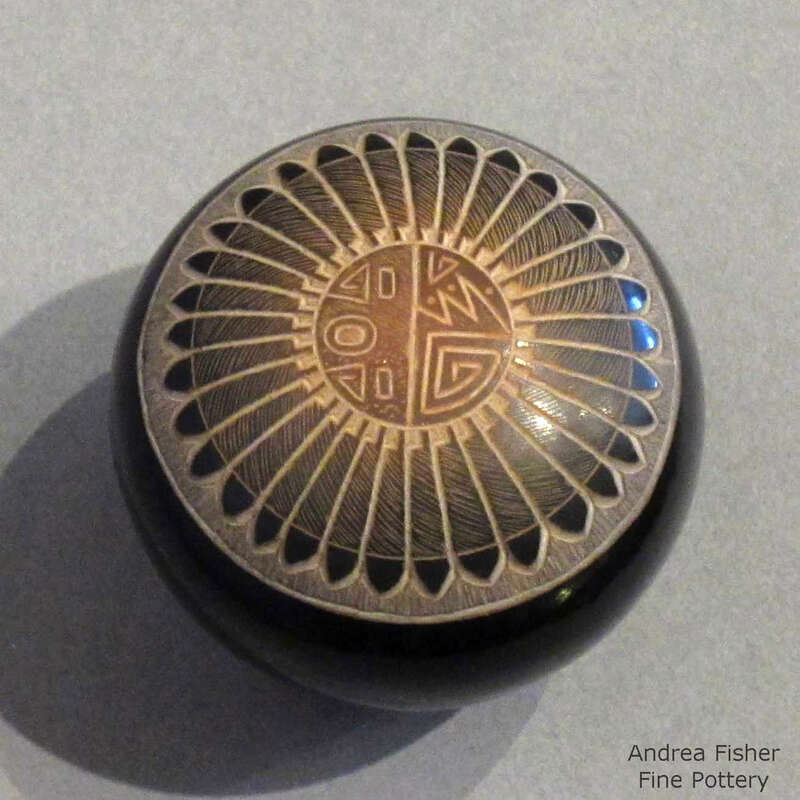 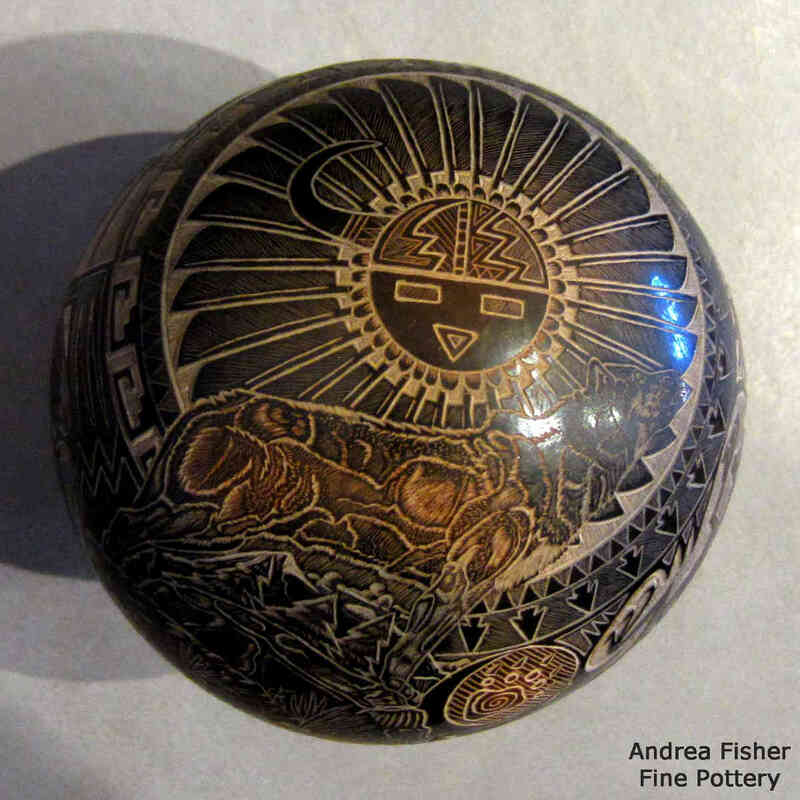 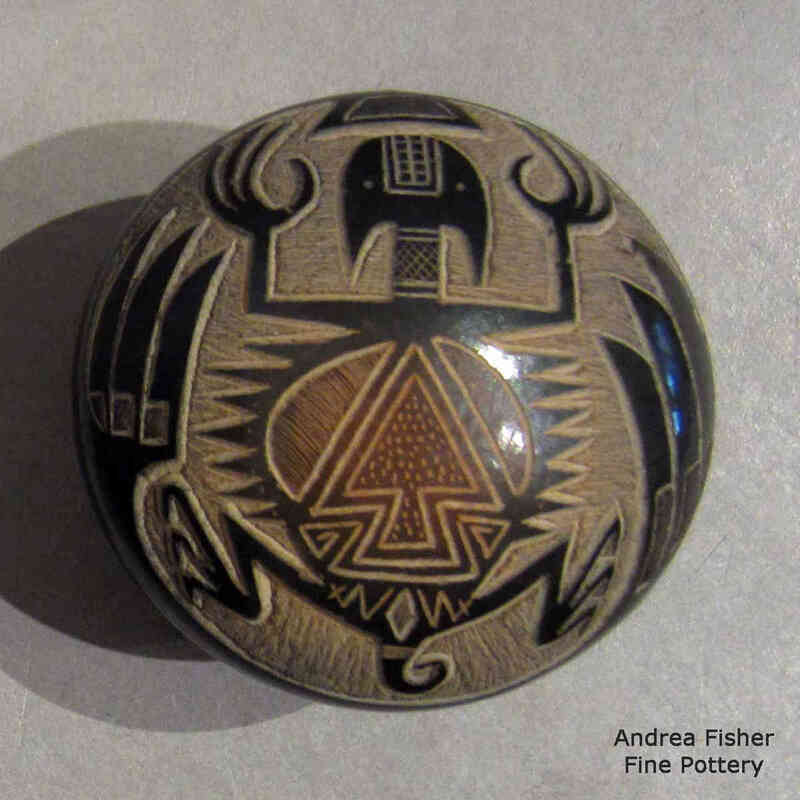 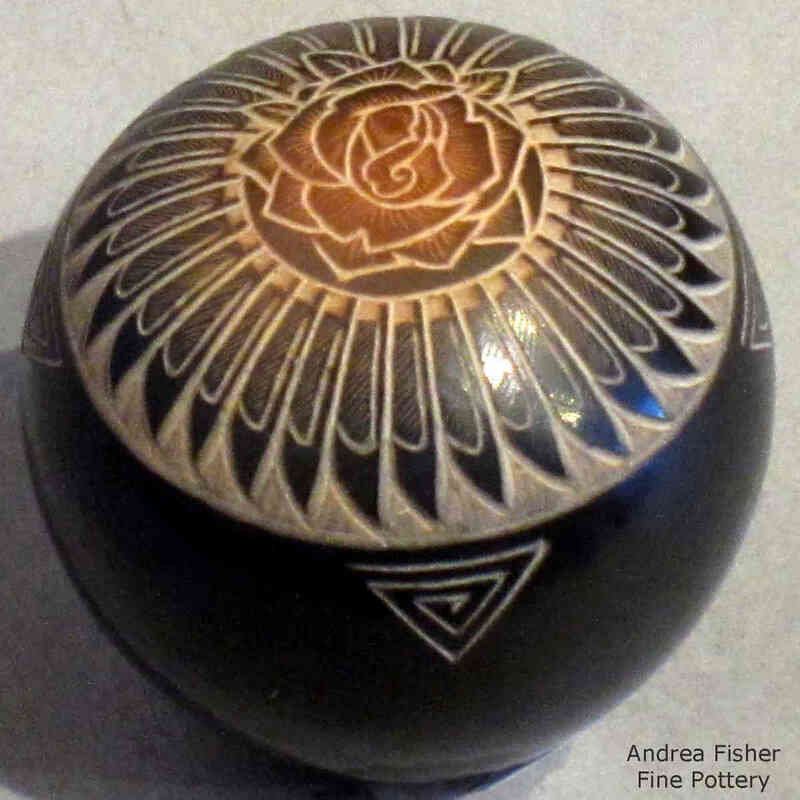 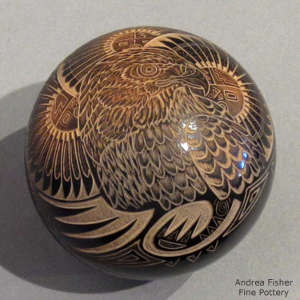 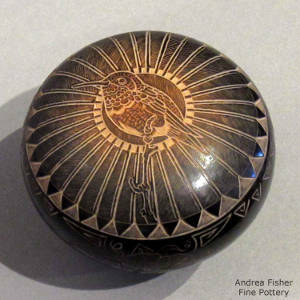 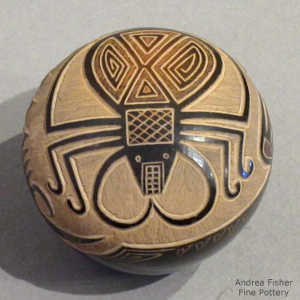 He specializes in contemporary sgraffito designs on small black jars and seedpots, often with sienna spots and rims.